My Bestfriend, the Lens Pen…! We can say that a “lens pen” is the photographer’s bestfriend… As it cleans your lenses whenever you want it to! I got my lens pen for free when I bought my gear. It consist of a soft retractable brush at one end and a small disc covered with a layer of carbon at the other end. The cap that encloses it has a “carbon filler” inside which you can use in refreshing the carbon-layered disc by turning it while the cap is on the pen. How does it work? Remember those times when you used a damp newspaper to clean your window glass clean and smudge free? The carbon ink in the newspaper absorbs oil and smudges and cleans the glass better than the glass cleaners which usually leave some streaks behind. The carbon disc in the lens pen works the same way. If there are fingerprints or oily smudges on your lens, you just wipe the carbon disc end of the lens pen in circular motion on your lens until the smudge vanishes. 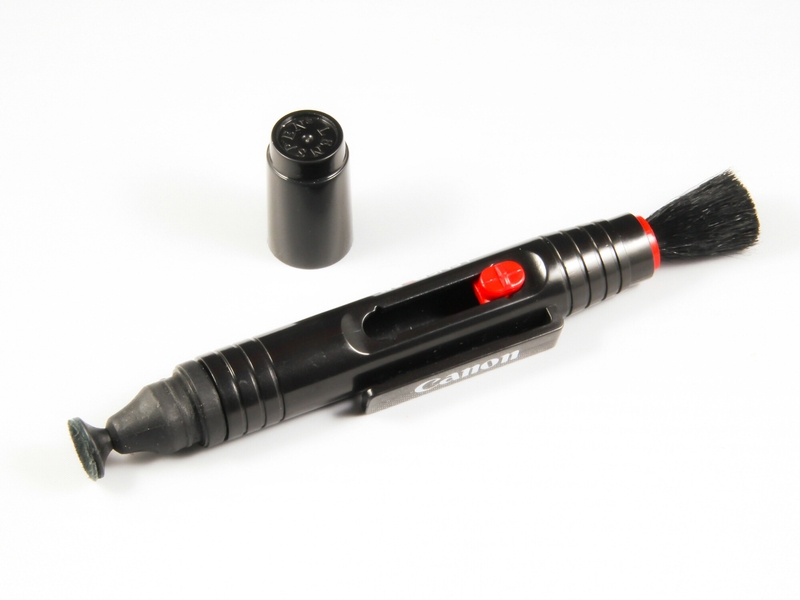 The brush is used to gently sweep away dusts and other tiny objects that has landed on your lens. The size of the lens pen is… Yes, like a pen that you can put in your pocket. I assure you, the lens pen is the handiest cleaning device that you will want to carry with you at all times during a photoshoot. Yup, it is the photographers bestfriend, no question about it! Cassette Tape… Is that adhesive?